Powrtouch caravan movers proffessionally fitted in Bristol. LNB Towbars supply and install Powrtouch Evolution - The next generation of caravan movers. 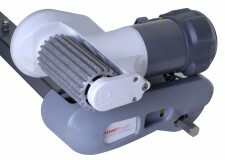 All Powrtouch movers come with a no quibble 5 year parts and labour guarantee when fitted by us.